Pacifism appeals to all who seek to follow Christ. Jesus said turn the other cheek and to treat your enemies the same as you do your friends. Because Jesus followers grow to love others as they love God, they do not want to hurt others, even the ones who want to hurt them. Applying Jesus’ personal ethic to global affairs becomes another matter. Many, if not most, Christian commentators through the centuries have affirmed that, at times, wars are just. C.S. Lewis has an interesting essay on this subject — “Why I am Not a Pacifist,” in The Weight of Glory. And remember, Lewis experienced war personally in the trenches of World War I, which claimed the life of his best friend. I summarize some of Lewis’ points because some of you may not desire to read the entire essay. Lewis said you cannot factually say that war accomplishes nothing good because one can never know how history would have turned if the war had not been fought. “That wars do no good is then so far from being a fact that it hardly ranks as a historical opinion” (Kindle location 691). On the test of fact, then, I find the Pacifist position weak. It seems to me that history is full of useful wars as well as of useless wars (699). The doctrine that war is always a greater evil seems to imply a materialist ethic, a belief that death and pain are the greatest evils. But I do not think they are (725). And of course war is a very great evil. But that is not the question. The question is whether war is the greatest evil in the world, so that any state of affairs which might result from submission is certainly preferable. And I do not see any really cogent arguments for that view (731). And then Lewis makes a particularly cogent point. “Only liberal societies tolerate Pacifists” (736). And by “liberal” he means liberal states where people are allowed to disagree with the established authority, such as Great Britain and the United States. “then you have handed over the state which does tolerate Pacifists to its totalitarian neighbour who does not. Pacifism of this kind is taking the straight road to a world in which there will be no Pacifists (737). In other words, pacifism leads to totalitarianism. While we Christians and any thoughtful person should see war as terrible thing it is, pacifism is not the appropriate response because the result would be loss of freedom to be the human beings God has created each of us to be. Hate war, but fight it must be fought to restrain evil. Still, then, hate it. What if civil war came to Texas? Imagine Texas finally seceding from the Union as so many have blustered through the years. Lots of planning has occurred, and it takes the United States government a while to … Continue reading What if civil war came to Texas? There has been much talk recently about the impact of Hispanic and Asian immigration on the outcome of the Nov. 6 election. No matter your politics, there is another interesting aspect to these demographic changes. Scott McConnell, writing for The American Conservative, notes that the new ethnic makeup of the U.S. will act, as it did in the pre- and post- World War I eras, ”more as a brake on an interventionist or militarized foreign policy than a leaven for one.” In other words, the U.S. may be less likely to engage in wars and such overseas. Christianity has historically taken a dim view of war, so much so that a theory developed for determining the difference between just and unjust wars. But followers of Christ have seen even just wars as the lesser of evils, something that, while justified, is terribly tragic. “War is always cause for remorse, never for exhilaration,” wrote William Sloane Coffin. As a result of our faith heritage in regard to war, any news that the U.S. might be less likely to engage in armed conflict is indeed encouraging. So how does McConnell get to this conclusion? First, he looks back to the first half of the 20th century. Then, in the 1930s, “Walter Lippmann interpreted American isolationism as an ethnic phenomenon: intervention in Europe risked exacerbating America’s own tensions,” McConnell says. McConnell is a journalist, not a historian, and he is a journalist pushing a particular agenda, so I cannot vouch for the full integrity of his analysis. I simply offer it as food for thought in helping us try to understand our times. “Asked, for instance, whether the United States should use military force to keep Iran from obtaining nuclear weapons, 41 percent of minorities either strongly or somewhat agreed, versus 51 percent percent of the whites. “Asked whether they agreed that the United States should spend less money on the military, 28 percent of minorities somewhat or strongly disagreed, as opposed to 39 percent of whites. War ever lingers as a possibility in this world. People are dying every day in various conflicts, including Americans in Afghanistan. 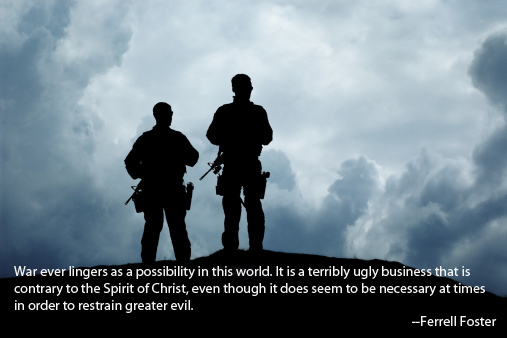 War is a terribly ugly business that is contrary to the Spirit of Christ, even though it does seem to be necessary at times in order to restrain greater evil. A prayer: Dear God, help us to hate war. Help us to desire peace when others may desire conflict. Help our nation, the most powerful one in the world, to be very careful in how we use that power. 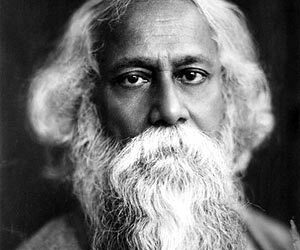 And thank You for bringing the world to our shores so that we may have a broader view of the world. God, please bless America, please bless this world. The Nobel Committee has reminded the world again of the importance and fragility of peace. In awarding this year’s Nobel Peace Prize to the European Union, the committee shocked the world and gave it a history lesson. Minds suddenly went racing back to the first half of the 20th century when two devastating wars ripped apart the continent. Millions, literally millions, of people died. Many others suffered. And the toll was felt around the world. In being honored for decades of peace since World War II, Europe’s current struggles were placed into a new context. 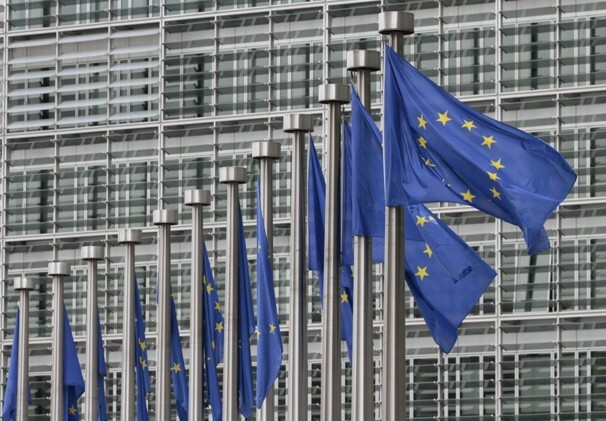 The European Union is about more than the Euro and financial problems. It is about knitting together nations that once had a well-established history of conflict, brutal conflict. History makes it clear that it is possible for the world to explode in conflict. Most people alive today have no personal memory of what it means for the whole world to be at war. My 85-year-old dad has maintained since President George W. Bush declared a war on terrorism that we have not really been at war because it has had little effect on the daily lives of most people. Most of us still drive our cars where we want to go, eat the food we want to eat, and entertain ourselves to excess. That was not the case during World War II. This is a different kind of war now, but we fool ourselves if we think this is really what war is like. John Lennon famously wrote, “Give peace a chance.” We don’t need to just give peace a chance; we need to work to make peace a reality, not just on the European and North American continents, but around the world. War is terrible and devastating. The Nobel Committee has reminded us that peace is a paramount goal. This is a message we followers of the Prince of Peace should easily grasp, for Christ emphasized that we should love our neighbors as ourselves. A prayer: Dear God, help those of us who follow Christ to have the strength to fight for peace in a world that too often has suffered war. It seems strange that Christians today often ignore the importance of pursuing peace. I’m thankful the largest and most important world Baptist body is seeking to change that situation. You can see details on the 10 practices of just peacemaking on the initiative’s website. “The ‘just peacemaking’ formula was developed by scholars led by Glen Stassen, a Baptist and professor of Christian ethics at Fuller Theological Seminary in Pasadena, Calif. The peace plan includes support for nonviolent action; cooperative conflict resolution; the promotion of human rights, religious liberty and democracy; economic development that is just and sustainable; a reduction in offensive weapons and weapons trade; the support of grassroots peacemaking groups and voluntary associations; and the strengthening of the United Nations and other international organizations.